i am still trying to gather & organize all the photos that i have to post. my little tiny from last halloweeny. my grandma eddy made it. i pretty well missed the whole month of october for blogging. & some photos from mr. mcphee's trip to ireland. thats what i said, ireland. 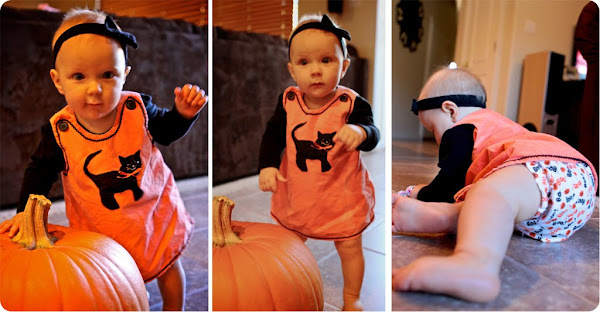 When I first saw these pics (before I read the post), I was all....what the crap....Norah looks so little. HAHAHA! Im dumb. Cant wait to hear about ireland. I love that outfit! and that little girl. what was she for Halloween??! I want to see pictures. Hurry up chickie!